How young people’s digital activism is changing lives. Bria Smith at a Honey For Your Tea event. Photo Credit: Makayla Drutowski. I’m a member of Generation Z—the population known for its obsession with avocados and addiction to social media. And even though most of my generation isn’t old enough to vote, many have become incredibly active in social and political issues through their constant digital connection. The perils of social media are well-covered, I also know how it can energize an entire generation because of how it has changed me. I reached legal voting age during the last presidential election. Though I grew up in a politically apathetic household, I attend a university that hosted one of three presidential debates during the 2016 election cycle, which exposed me and my peers to the importance of being politically aware. But it was social media that gave me access to the news, opinions, and activities that made me want to be politically active because it allowed me to bear witness the advocacy of others in my generation (most notably the teens from Marjory Stoneman Douglas High School in Parkland, Fla.). I share this sentiment with millions of teens and young people. According to Viacom Global Insights, more than 95 percent of young people globally believe it’s important to collaborate with other young people to make the world a better place. In the U.S., more than 4 in 5 teens believe their age group has the potential to change the world for the better, and are 60% more likely to believe that the internet is more powerful than any government compared to teens just five years ago. Stef Woods, a professor of American Studies, American Culture and Digital Media at American University, says that the rise of social media is a leading reason why Gen Z has become so politically-minded. “Social media allows for so many more people to get involved, get involved in impactful ways, get involved in different ways”, she says. “As long as there’s connectivity to the internet and literacy and a desire to participate someone can be involved in whatever cause or campaign or movement that they choose. As an intern at Viacom, I’ve also seen how companies support my generation’s activism. For example, last year Viacom soft-launched Generation Change, an audience-inspired and audience-led initiative designed to elevate and empower young people who are driving change around the world. Built to be fluid, Generation Change will be tailored by brand and by market, and it will be driven and inspired at every step of the way by young agents of change who are passionate about improving their communities. To learn more about what has spurred members of my generation to be so vocal and active on social media, I spoke with two young women who have put themselves at the forefront of social and political movements. “I didn’t know it was activism when I started doing it." At 16 years old, she’s the New York State organizer and a national liaison to March for Our Lives, a non-profit organization started by the students of Stoneman Douglas to raise awareness on gun control. She’s also the co-founder of its Long Island chapter. Seeing how her immigrant family turned their lives around after coming to the U.S. made her want to change the way young people view politics. 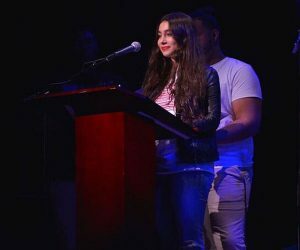 She spoke on the importance of her family’s history at “Broadway Fights Back,” a benefit for March For Our Lives where Broadway actors of all ages came together for a concert in support of the nonprofit. Over the past four years, she’s registered hundreds of young people to vote, while also joining young activists for a couple of stops across the country in MFOL’s “Road to Change” event, which partly aided in making politics more attractive to youth. “[We] took the stigma around social media being something that was detrimental to young people to making it into something that was a tool and an agent for powerful, progressive change,” she says. Meanwhile, nearly 1,000 miles away in Milwaukee, Wis., Bria Smith is working to give a voice to minority women, as well as supporting the Black Lives Matter movement and March for Our Lives. Smith is the creator of Honey For Your Tea, an online platform where young minority women are able to share their experiences. Launched last March, the play on “tea” in its title was a way to describe the bitter truth of living as a minority in America, combined with the sweetness of self confidence and self love, according to Smith. 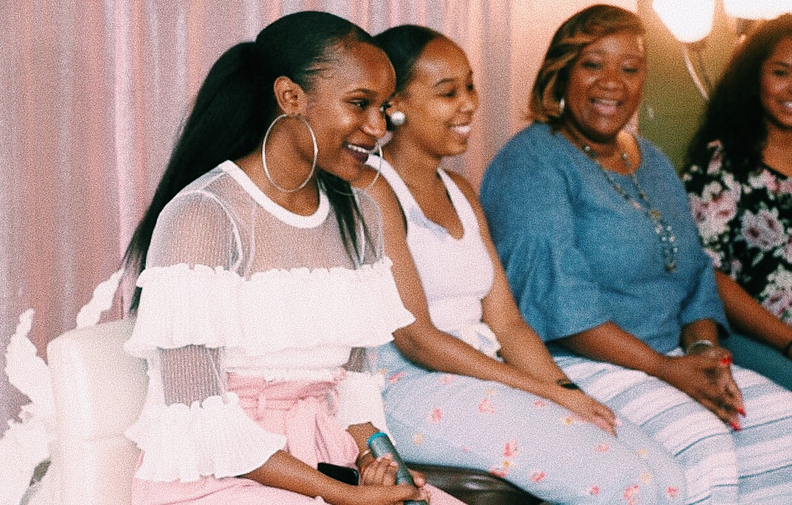 Smith hosted an event this past August where women were able to share their experiences live in real-time. Writers, who were featured on the website, were able to say their stories in front of a crowd, while the audience enjoyed tea and cookies. Through all of their activism, both activists address the fact that they’re trying to make a difference, they still live normal high school lives. Smith describes how social media can also be a networking tool. Smith and Fenster have actually met on occasion, more than once. “Ideas flow between us and there’s this sense of family because we’re fighting for the same thing,” she says. While there are countless examples of Gen Z teens getting involved in causes, not every member of the generation is participating—and people like Fenster and Smith are trying to change that. “You may not care about politics, but politics cares about you,” says Fenster. While these students have yet to hit voting age, they are already aware of the issues plaguing the United States—and the world—and are not only educating themselves, but are using their knowledge to inspire.